Shelf Master has a complete line of safety products to help ensure a safe work environment. Whether you need a flammable storage cabinet or just a pair of safety glasses, check out our catalog. Always remember that our knowledgeable staff is available to assist you. Contact us today for a quote on your safety equipment needs! 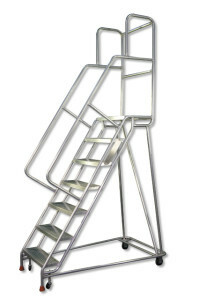 Standard RolaStair Rolling ladders feature large casters and safe-lock security. Steps and platforms are made of slip-resistant expanded metal. Let Shelf Master protect your people and your business from costly, sometimes fatal, injuries due to falling objects. 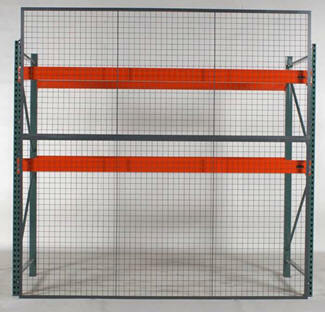 Our team of experts have over 40 years of combined experience in designing safety mesh systems for industrial material handling .Shelf Master offers numerous stock and unlimited custom configuration rack guards and safety netting for you to choose from.